Least we not forget. 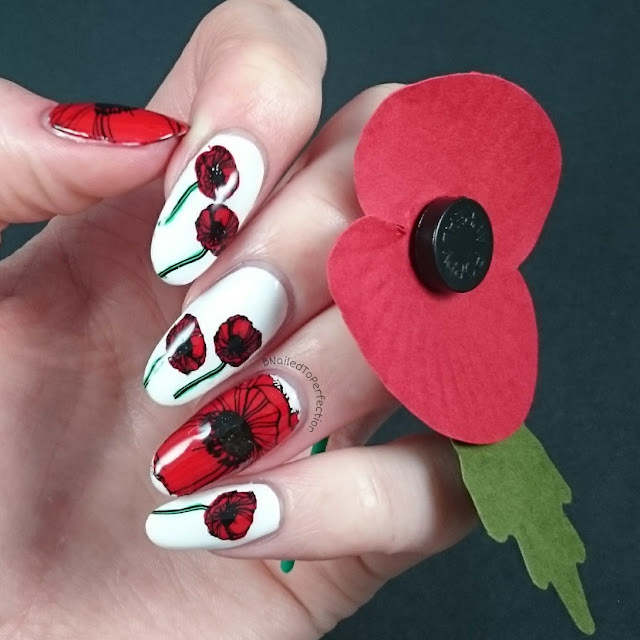 Yesterday was Remembrance Sunday which is when we pay tribute to the men and women who have contributed towards the two world wars and later conflicts. Wednesday, Remembrance Day, is the official anniversary of the end of World War one. We wear a poppy with pride to honour these and women. 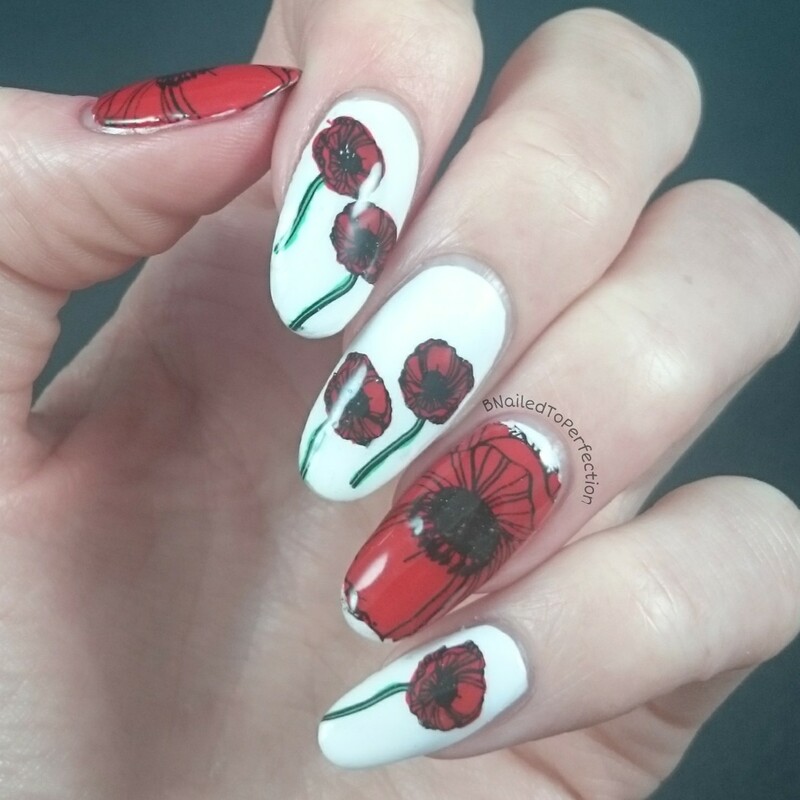 I honoured them the best I could..on my nails. Limitless by Cassella was what I picked for the pure white base coat. I made the poppy decals by using my Uber Mat and plate 2 from collection 3. It has both a full size poppy and also just the poppy head. 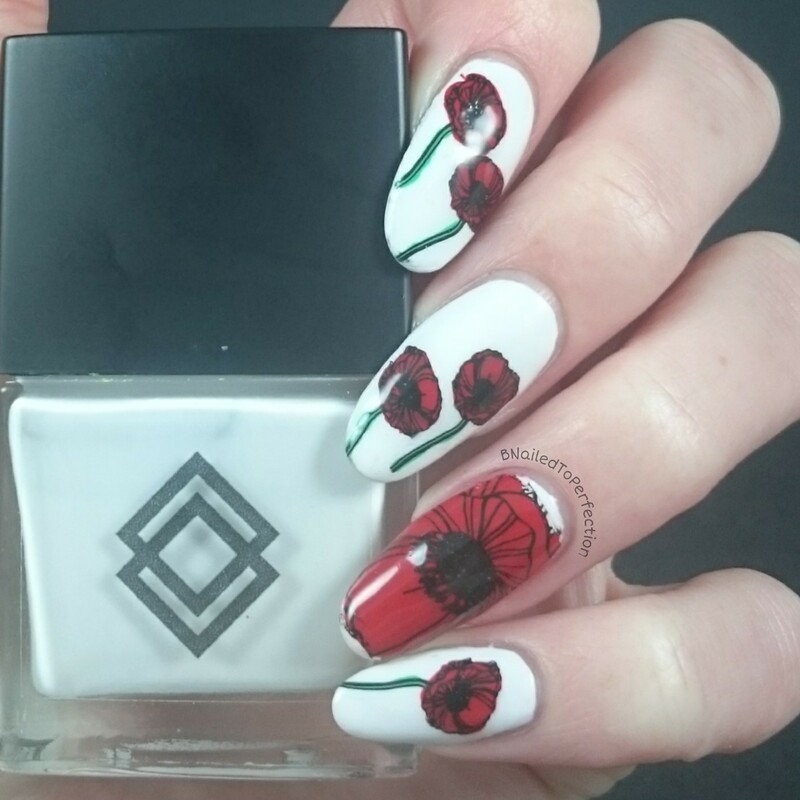 The stamping polished used were all from Dashica. 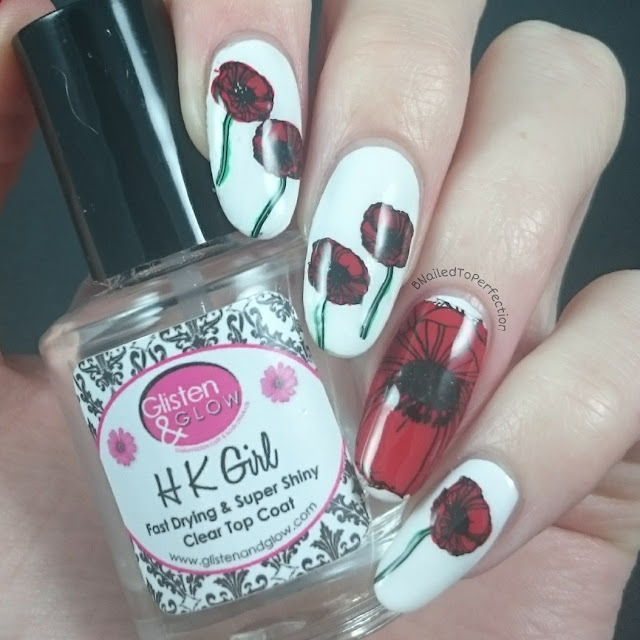 What do you think of my poppy nails? I've also just noticed that my last three pictures look cloudy?! I'm sure they didn't look like that when I took them lol.